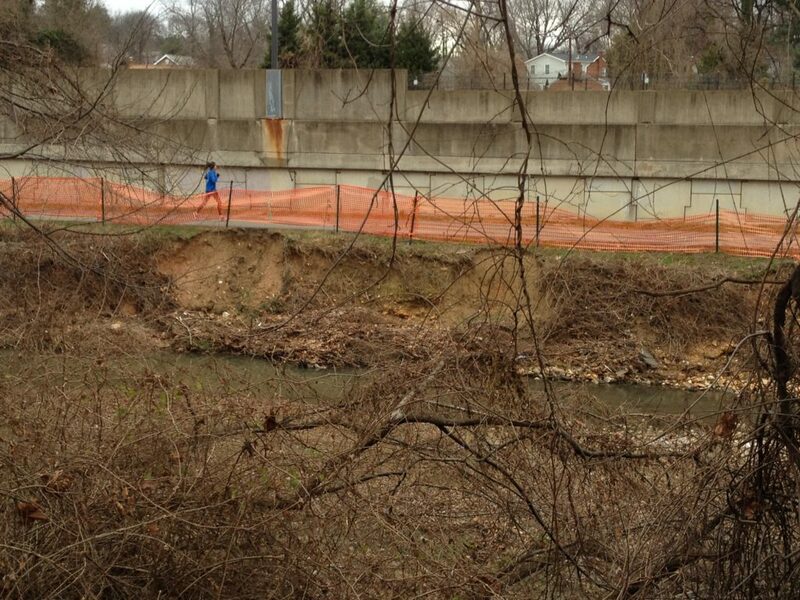 Severe stream erosion was threatening the W&OD trail near N. Madison Street. The County completed an emergency stream and trail stabilization project. This project is a short term solution while a longer term restoration project for the stream is planned. Four Mile Run Stream Erosion Threatening the Trail near N. Madison St.
W&OD trail has now re-opened (as of 3/18/19). Four Mile Run trail has re-opened. A trail railing will be installed in the vicinity of the repair in the coming weeks. 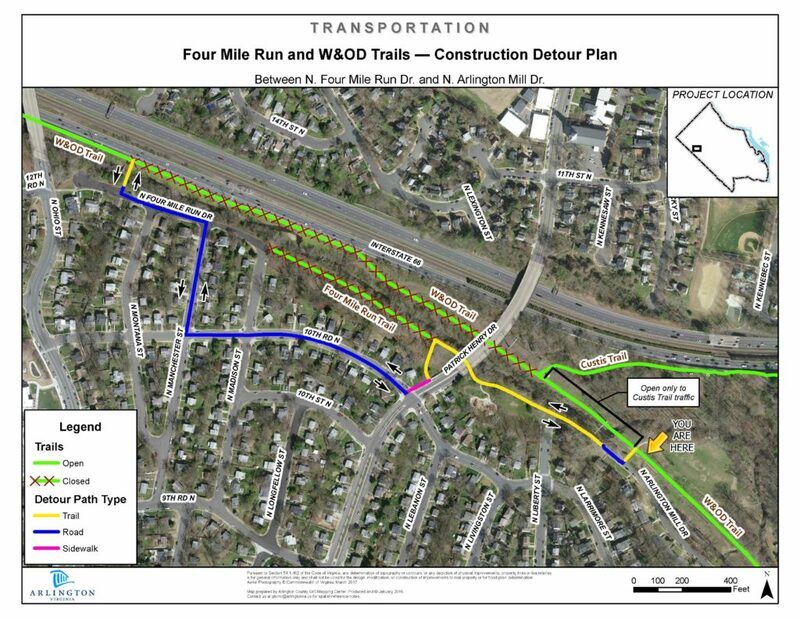 Trail Detour near Four Mile Run Repair at N. Madison St.